We are back with our ADIH PhD Days presentation sessions with our first presentation for the year 2019. It gives us pleasure to start the session with a socially significant issue which brings the true nature of the discussion platform that is knowledge production, experience sharing and networking. 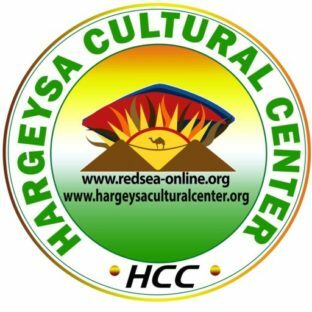 For this, we will have presentation titled “Spatial Inequality in Times of Urban Transition: Somaliland and Uganda” on Wednesday 23rd of January to be led by Professor Colin Marx who is a co-lead on the UK-funded research project ‘Spatial Inequality in Times of Urban Transition’ which focuses on the cities of Hargeysa and Berbera in Somaliland and Kampala and Arua in Uganda. Professor Colin Marx is an Associate Professor at University College London’s Development Planning Unit and his research focuses on urban development processes from the perspective of poor and marginalized groups of women and men in sub-Saharan African cities. He has specific interest in the role of informal land markets in urban land markets and development and the relationship between formal and informal land use and the urban economy. 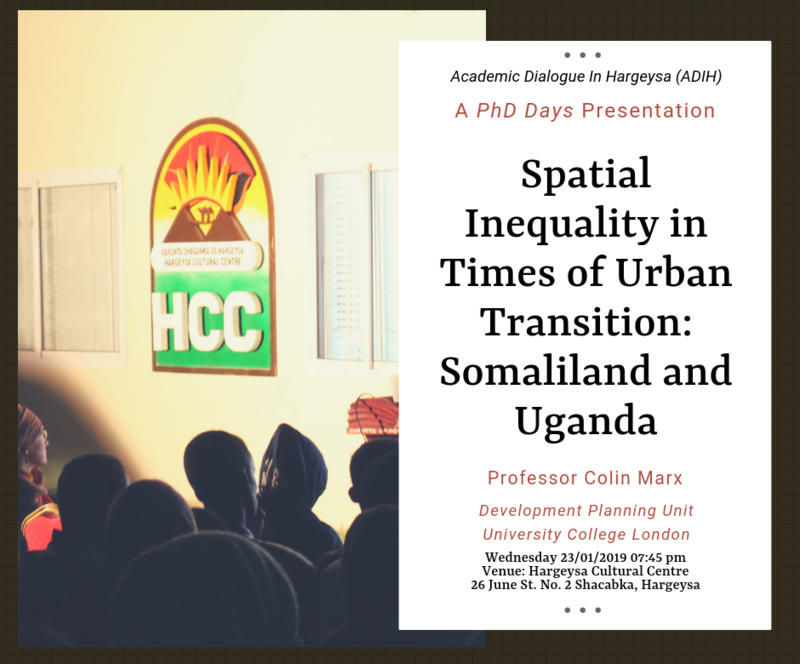 Professor Colin Marx will be joined by members of the research team, Abdirashid Mohamed Adan, Esther Naddembe, Kayse Mohamed Hussein and Warda Hassan, who will discuss the changing nature of spatial inequality in situations of urbanization in the four cities that are the focus. They will also introduce the methods used for collecting data, and present some initial findings.